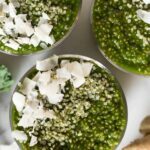 This Blender Green Juice Chia Pudding is packed with veggies and a boost of protein, making it a perfect light and refreshing snack that is paleo, gluten and dairy free, and Whole30 approved! This post is sponsored in partnership with Vital Proteins. All opinions expressed (as always) are my own. I only partner with brands I trust and personally recommend – thank you for your support in helping make Eat the Gains possible! Make sure to check out the video to see how easy it comes together! New year, more chia puddings. Is it still acceptable to say new year? I feel like we just started 2018 but January is almost over. It’s crazy how fast the time goes when you get older. 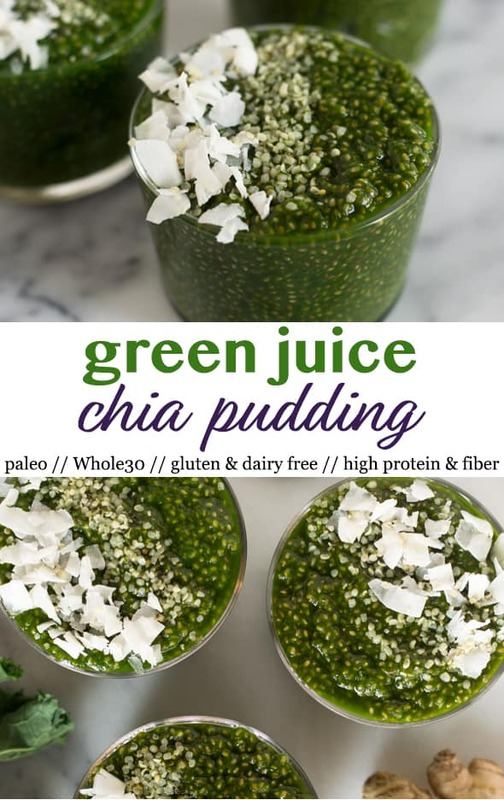 If you have been an ETG’s reader for while, you know I love a good chia pudding. Some of my favorites are pumpkin, gingerbread, blood orange, and carrot cake (and those are just the favorites). If you haven’t made a pudding pudding yet, what is stopping you?! 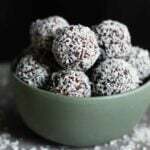 They are super easy and you can pretty much make whatever flavor you like. I wanted to change it up this go around and make more of a “savory” one. 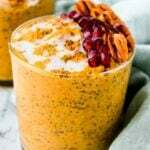 I say savory in quotes as it isn’t exactly a savory recipe, but it is not a super sweet variety like your usual chia puddings. I pretty much just made a green juice in my Vitamix and then add some chia seeds and let them do their thing. 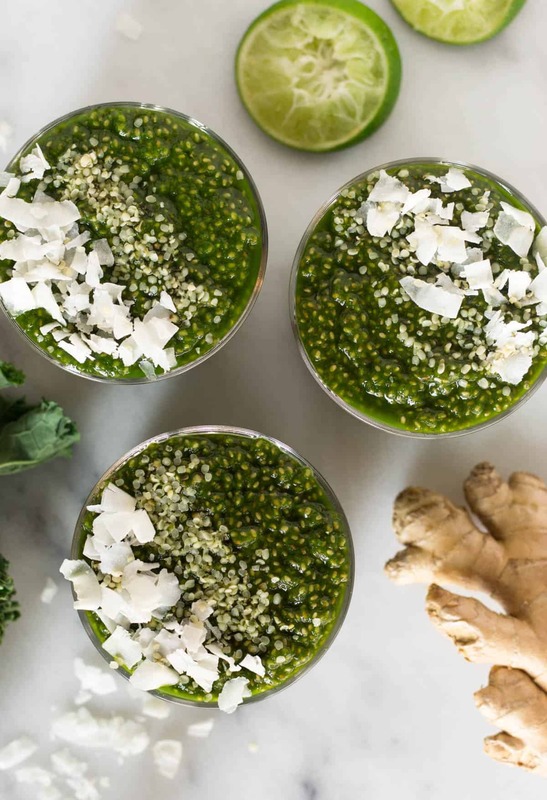 The green juice is packed with veggies, ginger, and basil and is super light and refreshing tasting. As much as I love a good green juice, I usually feel unsatisfied after them so I wanted to pump this one up some – hello protein and heathy fats. 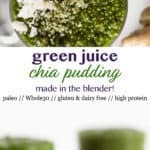 I bet you didn’t know you could make green juice in your blender did you?! 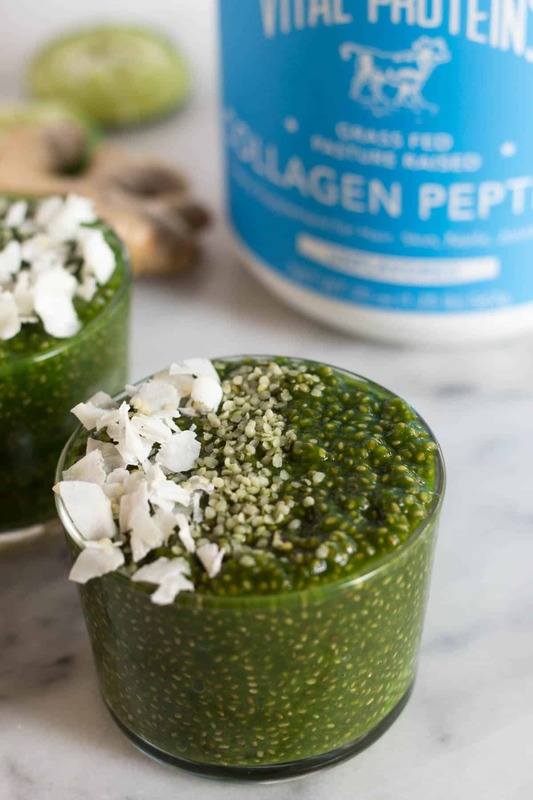 I also added in some Vital Proteins Collagen Peptides to up the protein and health benefits. 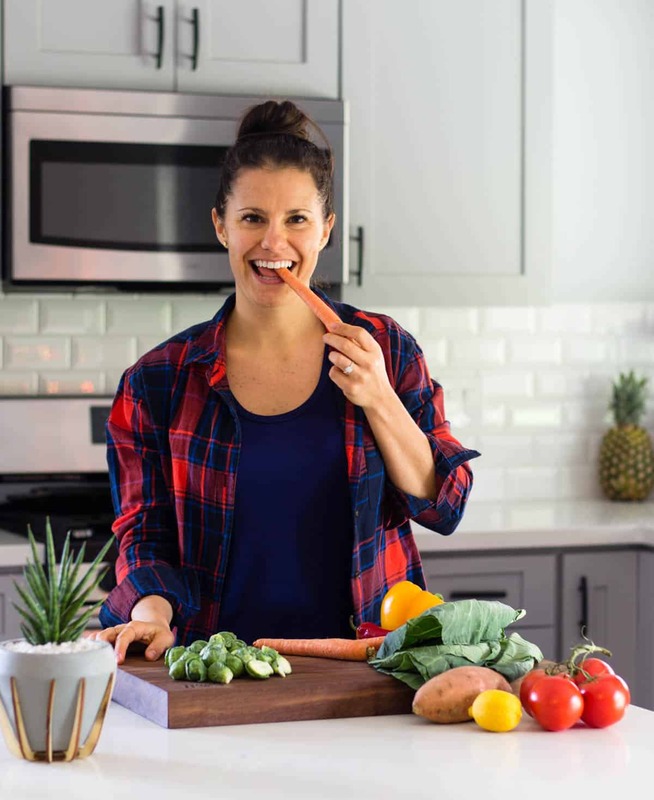 I try to add collagen to whatever I can as it has so many amazing benefits – improves the health of your nails and skin, improves gut health, strengthens nails, hair, and teeth, reduces wrinkles, cellulite, and stretch marks, and helps improve liver health. It dissolves in just about anything and is tasteless so you really don’t have an excuse not to use it ? 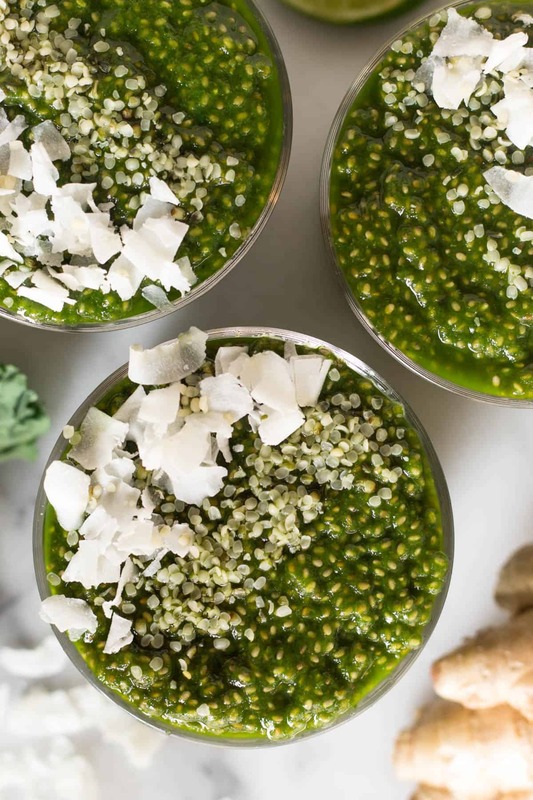 This green juice chia pudding would be great for a breakfast, a snack, or even meal prep. Make a batch in the beginning the week and then enjoy it throughout the week. 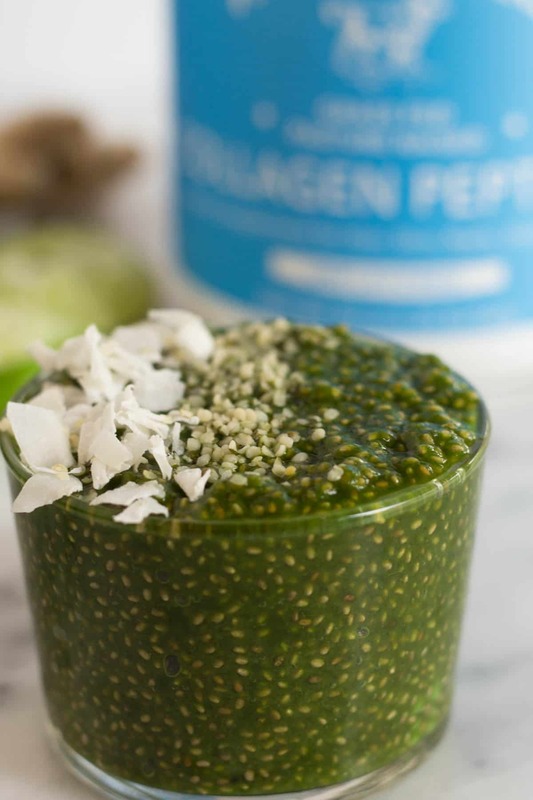 And don’t forget some toppings – for this one I opted for coconut flakes and hemp seeds, but anything goes! Check out the video to see how easy they come together! Add kale, apple, cucumber, water, ginger, basil, and lime juice to a Vitamix or high powdered blender. Blend until kale is broken down and fully incorporated, about 1-2 minutes. Add collagen and pulse until incorporated. Pour into a mason jar. If needed strain through a mesh bag. 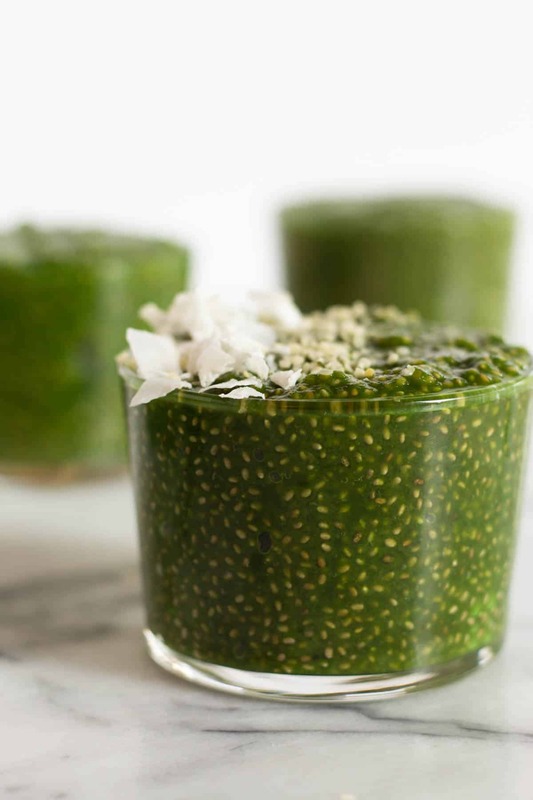 Add chia seeds, screw on lid, and shake to combine. 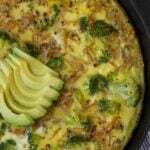 Refrigerate for 3 hours or overnight. Eat as is or top with desired toppings. Enjoy!